Quantum physics sets the laws that dominate the universe at a small scale. The ability to harness quantum phenomena could lead to machines like quantum computers, which are predicted to perform certain calculations much faster than conventional computers. One major problem with building quantum processors is that the tracking and controlling quantum systems in real time is a difficult task because quantum systems are overwhelmingly fragile: Manipulating these systems carelessly introduces significant errors in the final result. New work by a team at Aalto could lead to precise quantum computers. The researchers report controlling quantum phenomena in a custom-designed electrical circuit called a transmon. 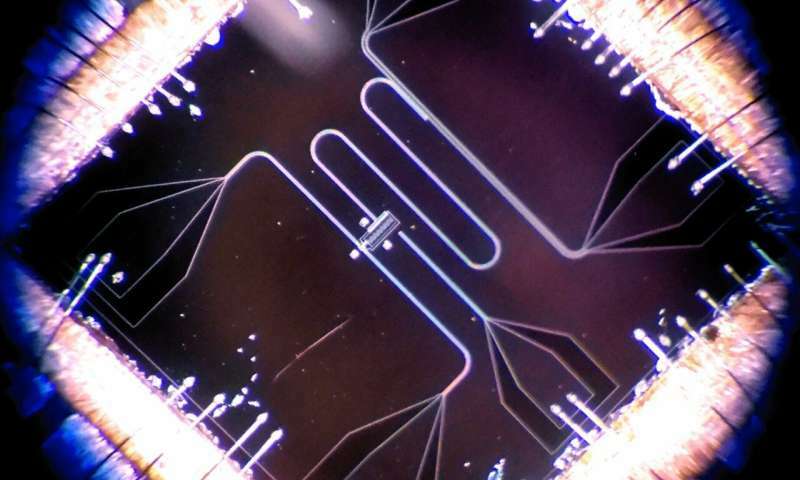 Chilling a transmon chip to within a few thousandths of a degree above absolute zero induces a quantum state, and the chip starts to behave like an artificial atom. One of the quantum features that interests researchers is that the energy of the transmon can only take specific values, called energy levels. The energy levels are like steps on a ladder: A person climbing the ladder must occupy a step, and can't hover somewhere between two steps. Likewise, the transmon energy can only occupy the set values of the energy levels. Shining microwaves on the circuit induces the transmon to absorb the energy and climb up the rungs of the ladder. In work published 8 February in the journal Science Advances, the group from Aalto University led by Docent Sorin Paraoanu, senior university lecturer in the Department of Applied Physics, has made the transmon jump more than one energy level in a single go. Previously, this has been possible only by very gentle and slow adjustments of the microwave signals that control the device. In the new work, an additional microwave control signal shaped in a very specific way allows a fast, precise change of the energy level. Dr. Antti Vepsäläinen, the lead author, says, "We have a saying in Finland: 'hiljaa hyvää tulee' (slowly does it). But we managed to show that by continuously correcting the state of the system, we can drive this process more rapidly and at high fidelity." Dr. Sergey Danilin, one of the co-authors, describes quantum control—the process of using chips like transmons to build quantum computers—by extending the "climbing a ladder" analogy. "To get a useful quantum system, you need to imagine climbing a ladder while holding a glass of water—it works if one does it smoothly, but if you do it too fast, the water spills. Certainly, this requires a special skill." The researchers found that in the quantum world, the trick for climbing the ladder quickly without spilling any water is by carefully jumping two rungs at a time. This short-cut up the energy ladder was achieved by making the transmon absorb two microwave photons at the same time. The laws of nature put a restriction on how fast any quantum energy switch can occur, even with short-cuts, a restriction called the "quantum speed limit." To their delight, the Aalto scientists found that their new method resulted in changes to the energy level that took place at speeds that were close to this theoretically calculated limit. The wider impact of controlling high-speed energy transfers in quantum systems is also exciting to the team. Of potentially high importance are quantum computing and quantum simulation applications, which requires fast and highly robust operations such as state preparation and the creation of quantum gates. Dr. Paraoanu sees other opportunities, as well: "We would like to understand more deeply the processes related to energy transfer, which are ubiquitous in the natural world and in the technology that surround us. For example, are there any fundamental limits to how fast we can charge the battery of an electric car?" 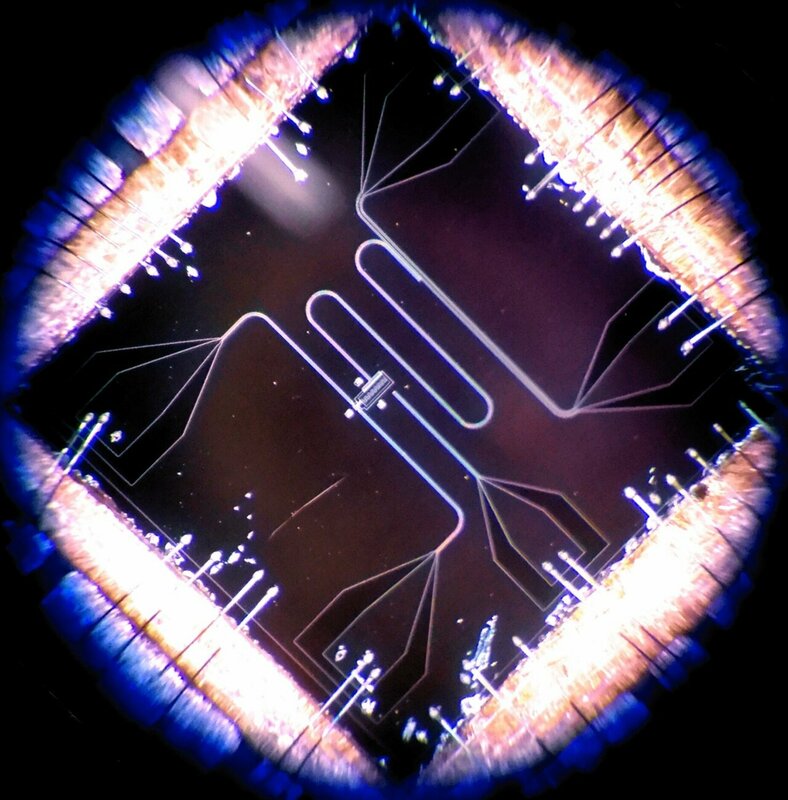 In the rapidly developing field of quantum technologies, it is possible that this new control method will find multiple applications.